Why choose MyTub for vaillant domestic gas boilers? MyTub service is second to none in the UK, no other company aims to fulfill your requirements like MyTub does. We have fully trained and experienced staff ready to take your order, find the nearest branch with the goods ready on the shelf to deliver to your address and ensure you get your order delivered to you as quick as humanly possible. We keep you informed of the progress of your order, good or bad news. Our experienced team offer pre sales service to answer any questions you have relating to the products by liaising with the manufactures. 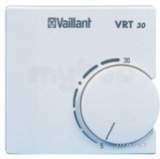 All our vaillant domestic gas boilers products are genuine branded goods. If the item is in existence and on a UK shelf we will source it for you, in some cases when the part has even been obsolete for quite some years. Contract pricing and quantity discounts available on vaillant domestic gas boilers, our contracts department can also aid in specification if needed. Open vent systems are normally connected to two tanks in the loft. a small feed and expansion tank supplies water to the boiler and the radiators. a larger domestic cold water storage tank provides th .. This security fixing bracket, 2370109, is a spare part or a replacement part. Helps reduce heating costs by efficiently controlling the heat, just a small reduction in room temperature can save up to 10% on heating costs. the vrt 30 is suitable for use in 230v external control .. This vrc 410s weather compensator, 300647, takes the outside weather into consideration and adjust the heat from the boiler accordingly, this helps save energy. 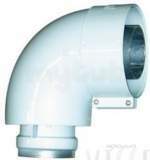 This ecomax 125mm vertical air/flue duct, 303200, measures 1530mm in length, is used for ventilation. This ecomax flue extension kit 125mm, 303202, measures 470mm in length, is used for extending the flue from the boiler. This ecomax flue extension kit 125mm, 303205, measures 1970mm in length, is used for extending the flue from the boiler. This ecomax standard horizontal flue kit 125mm, 303209, measures 1103mm in length, and is used for ventilation. This 125mm elbow high efficient 87 degree, 303210, is used to vent in conjunction with vaillant flue extensions for vaillant boilers. This ecotec 125mm elbow high efficient 45 degree, 303211, is used to vent in conjunction with vaillant flue extensions for vaillant boilers. This ecotec 125mm sliding sleeve, 303215, is used in the venting system for vaillant boilers. This 125mm vertical flue kit, 303600, measures 1170mm in length, and is used in the venting system for vaillant boilers. This 125mm flue extension, 303603, measures 1 m in length, and is used in the venting system for vaillant boilers. This 125mm flue extension, 303605, measures 2 m in length, and is used in the venting system for vaillant boilers. This 125mm horizontal flue kit, 303609, measures 1103mm in length, and is used in the venting system for vaillant boilers. This 125mm elbow standard efficient 87 degree, 303610, is used in the venting system for vaillant boilers. This 125mm flue support clips pack of 5, 303616, is for supporting flue pipes connected to vaillant boilers. This 125mm sliding sleeve, 303617, is used in the venting system for vaillant boilers. This 125mm boiler adaptor, 303620, is an adaptor for vaillant boilers. This vertical flue kit, 303800, measures 1285mm in length, and has a black / white finish. This flue extension kit, 303802, measures 980mm in length, and has a white finish. 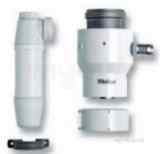 This flue extension kit, 303803, measures 1940mm in length, and has a white finish. This telescopic flue extension kit, 303804, measures 500mm to 800mm in length depending on what length is needed, it has a white finish. This telescopic flue extension kit, 303804, measures 450mm to 650mm in length depending on what length is needed, it has a white finish. This 90 degree flue elbow, 303808, is used in the venting system for vaillant boilers. This 45 degree flue bends pair, 303809, is used in the venting system for vaillant boilers. This 125mm boiler adaptor & connector, 303814, is an adaptor for vaillant boilers. This adjustable flue offset, 303819, measures 33mm to 56mm in length, and it is a spare part or a replacement part.